We all have at least one in the garden or on the terrace ... 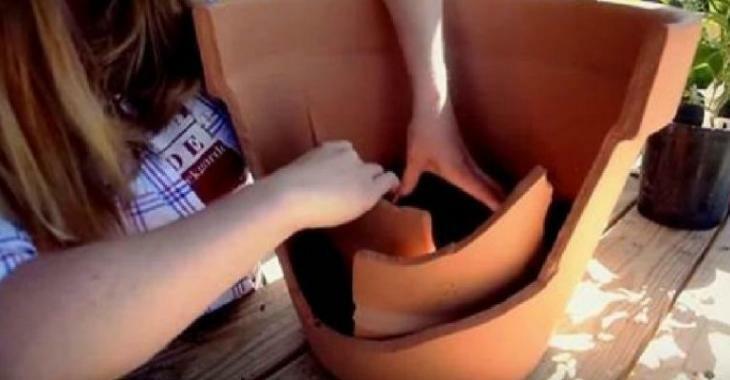 The classic clay pot is essentiel for all horticultural enthusiasts. Simple, functional and resistant, it is suitable for most plants and flowers. However, its modest appearance can become boring in the long run. That is why some people do not hesitate to paint them with funny patterns. But a lady has very high level: This Imgur user has an unconventional way of doing wonders with simple clay pots. First of all, she breaks them into pieces. Far from being unusable, what she does with them is absolutely wonderful. A Fairy World stands before our eyes. Never would I have thought of doing such a fabulous thing with my old clay pots ... Even in the smallest spaces, you can now make a fabulous garden!